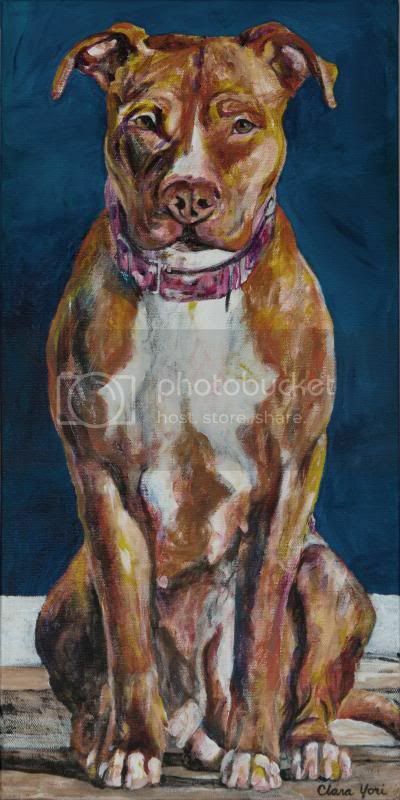 I choose to paint dogs because they play an enriching role in my life. I graduated from Saint Mary’s University with a degree in Studio Art. Soon after college I got a job at Paws and Claws Humane Society. The dogs and their needs became so important to me that my husband and I have since adopted six dogs. 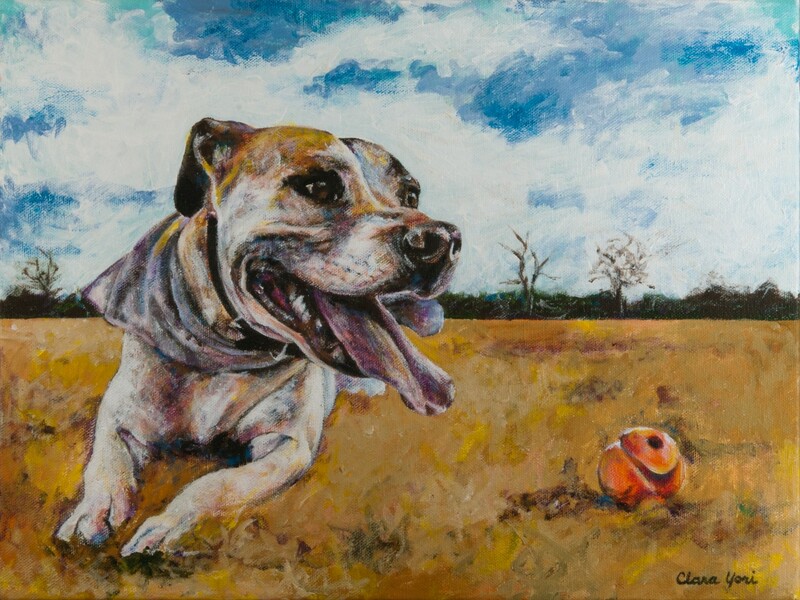 I didn’t create any art for about ten years until I offered to paint something for a charity auction for homeless dogs. Since then I have continued to paint my favorite subject. I use acrylic paints because they allow me to make quick changes and add layers. I don’t plan exactly how a painting will play out. I lay down a sketch, start adding color, and see what develops. That is my favorite part: seeing what decisions come out as I go and how the shapes and likeness start to emerge. My goal is to capture the spirits of the animals in my paintings so they’re recognizable to those who love them. This is really exciting. I love looking at your work on Facebook. Someday I want to have you paint my Miss Daisy. I’m also working on a WordPress site. Fun to figure out how you can tweak things. Good luck with your endeavors. I think it’s wonderful that dogs helped you (re)focus your art. Both art and dogs make life so much more beautiful! I just discovered your blog through Wallace’s FB post today, and I’m looking forward to seeing more of your work. Peace, and thanks for sharing your work and your story.